Same drill as on the previous forums. This thread’s for the movies you’re looking forward to in this new year as well as any news for movies coming out this year and beyond. And I realize most of them seem to recycle ideas rather than offer something original. That’s the state of cinema today, I guess. Pretty much the same with my list as well. The only ones that really have any semblance of originality are Red Sparrow and Ready Player One. 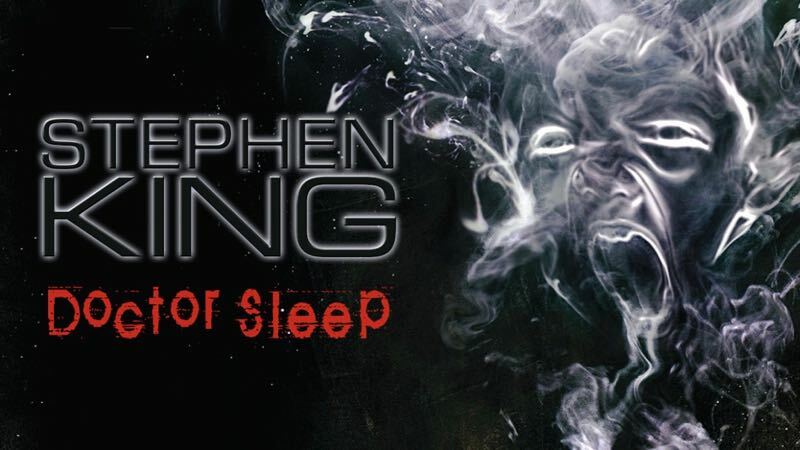 Filmmaker Mike Flanagan has been tapped by Warner Bros. to direct the big screen adaptation of Doctor Sleep, Stephen King's sequel to The Shining. Now, I’ll have to admit, I’m fairly excited about this one. Flanagan did a great job adapting Stephen King’s Gerald’s Game for Netflix, so there’s a chance that this won’t be your run-of-the-mill Stephen King remake that isn’t worth the paper it’s written on. The big question is, how will it treat the existence of Kubrick’s adaptation of King’s original novel? Oh, yes - that one will be interesting. Wasn’t the biggest fan of the book but the film can become very interesting. Given King´s hatred for Kubrick´s film I’m sure this one will not refer to that version. That adaptation will entirely hinge on who they get to play the Abra character. For whatever flaws the book had (I did quite enjoy it, though), Abra was one of King’s better creations here lately. I am also somewhat surprised, given the remake culture we currently live in, that the studio didn’t opt or a remake of The Shining first. They would certainly have some grounds upon which to go about doing it, given that Kubrick’s film, good as it is, isn’t much as an adaptation of King’s novel, and King’s own miniseries was awful. There could definitely be some room there for them to kind of mirror what they’re doing with IT, with The Shining obviously following the events of the novel featuring a young Danny Torrence and then following it up with Doctor Sleep where we follow him in his adult years. My impression was King‘s opinion of SHINING had mellowed a bit over the years, but I may be wrong there. The film is surely a prime example for an adaptation that follows the book, yet delivers a vastly different story. I think I‘ve read somewhere King now regards SHINING as a good film in its own right, just not as a good adaptation of his book, which is fair enough. DOCTOR SLEEP could in my view also work without much connection to SHINING (book or film) since the core of it, the battle psychic vampires vs. Danny and Abra is largely selfcontained. Only Danny is even aware of previous events, the battleground for the final confrontation is only insofar significant that Danny knows it. The events there shaped Danny‘s entire life afterwards, yes - but that could have been any kind of traumatic life-threatening experience. I could see them just using the broadest strokes for that part and the audience would get the picture even if they had never seen or read SHINING. They could just as easily ignore The Shining, as it, as you said, doesn’t have too much bearing on the events of Doctor Sleep, but we all know that they’re going to market the heck out of this movie being a sequel to The Shining to get people in the door to see it. They almost have to, as I don’t necessarily think it was popular enough on its own legs to get people to go “Hey, I’ve got to go see that Doctor Sleep movie”. Can’t say I’d be surprised if they tried to fit him in there as one of the older members of the True Knot. 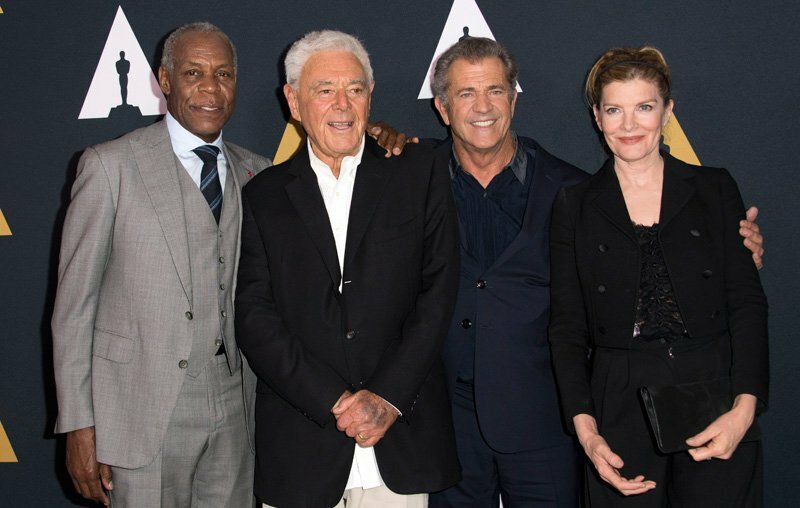 Well, Nicholson is retired and rumoured to be ill - he does not even attend the Oscar ceremony anymore which was his regular party spot. Maybe this adaptation will go the way of the often announced PET SEMETARY redo and stay in development until the inevitable SHINING remake. Seeing now that this film is also planned by WB. That would allow for using clips from Kubrick‘s film to establish continuity. In any event it‘s good to see that Akiva Goldsman‘s script will be rewritten. The problem is that the story takes some enormous time until it actually picks up. I liked the book, but it’s really an awfully long range duell with a slow buildup. It will not be easy to get a certain dynamics into the whole package, especially since the three main characters take years to actually meet. The more I think about it, the more I think that (and I can’t believe that I’m typing this) they might be better off going ahead and remaking THE SHINING first. I think such a project would avoid the fate that a film like CARRIE ultimately met because, while Kubrick’s film is loved, I think most would agree that it’s also not a particularly faithful adaptation of King’s material. Taking an entirely different approach from Kubrick’s film would be the key. Rather than a rather cold and detached take on King’s material, a re-adaptation should be an emotional look at Jack’s descent into madness and the tearing apart of the Torrance family during the course of their winter at the Overlook. Then you could come back a few years later with DOCTOR SLEEP, having a correct version of THE SHINING in peoples minds to jump off from to inform their viewing of the new film and also, most importantly, giving it the hype of being a sequel to a popular film rather than simply an adaptation of what is considered to be a middle-of-the-road King novel. I wanted to include Halloween and The Predator but I have mixed reservations. I was not a fan of Rob Zombie’s take on the Shape, they were just putrid films. I can’t picture on what the new filmmakers can do with Michael Myers, just let the character die already; I like Shane Black and I am curious about his interpretation but I will take a hard pass on seeing it in theatres. Donner has given an update, revealing the Lethal Weapon 5 title, that it would be a dark movie, but also that he doesn't think it's going to happen. It’s a shame to hear that he doesn’t think that it’s going to happen. I have to admit, I was rather excited when I heard a while back that both Mel Gibson and Danny Glover were in talks to return for LETHAL WEAPON 5. Hopefully the hurdle currently standing in the film’s way is able to be resolved and they get on with it. Should be interesting, if for no other reason than to see how Abrams continues to build up this Cloverfield universe. 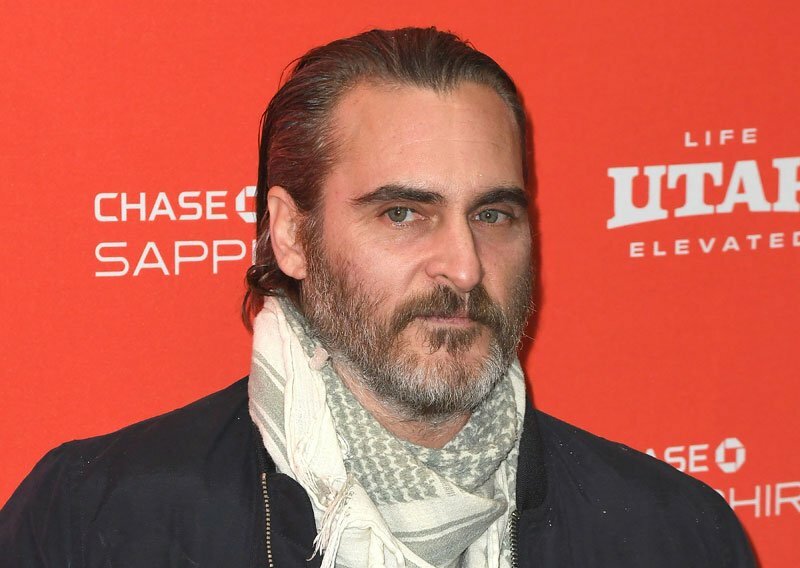 Actor Joaquin Phoenix has agreed to play The Joker in the origin movie that The Hangover's Todd Phillips will direct and Martin Scorsese will produce. Have to admit to being rather intrigued by this. Phoenix was my first choice for the role back when they were casting for THE DARK KNIGHT after Sean Penn ended up not being cast in the role. Given the already odd combination of talents behind this project, this Joker origin film could end up being a pretty interesting endeavor, to say the least. 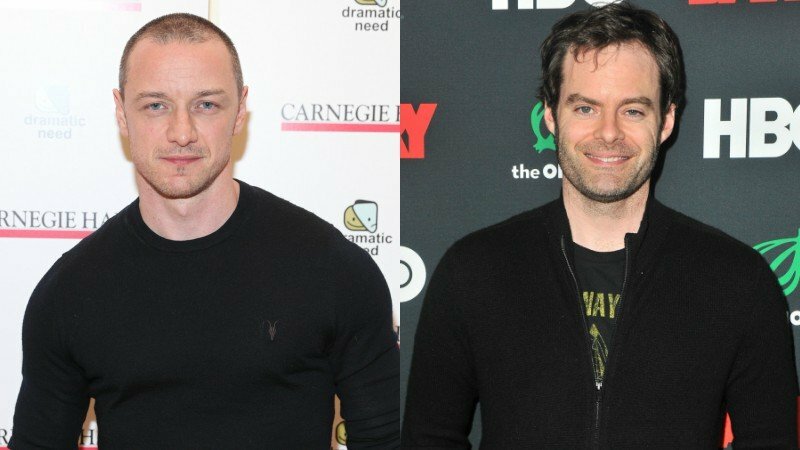 James McAvoy and Bill Hader in Talks for IT Chapter 2! Actors James McAvoy and Bill Hader are now in talks to join Jessica Chastain as the grown-up versions of The Loser's Club in IT Chapter 2. Pretty solid casting for IT: CHAPTER 2 so far. Can’t wait to see how they round out the rest of the adult Loser’s Club members. Good call on both - though I must admit the first part felt odd for me. Perhaps not so much for people not familiar with the book. On its own it’s a solid film, much better than the tv adaptation could do. The right decision that they go their own way with it. Haven’t paid much attention to new movies lately, been too busy. But I did manage to get to Tomb Raider and the instant classic that is Black Panther. Looking forward to Avengers: Infinity War.